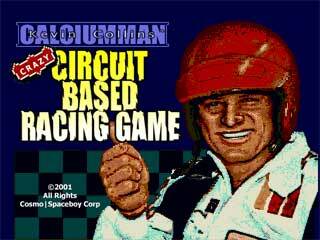 Inspired by the classic Ivan Ironman Stuart's Super Off-Road Racer, I present Kevin Calcium-Man Collins' Crazy Circuit-Based Racing Game. My brother did the graphics and and I did the "programming". I use quotation marks as it was made with The Games Factory, one day I'll finally get round to remaking and upgrading the whole thing using some proper coding. Until then though, this is still ace fun! 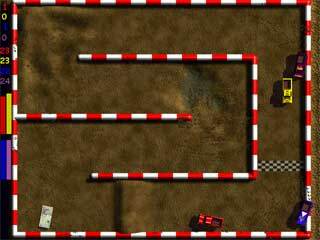 Up to three players racing around the track, fighting not only to win but to collect nitro's and cash. Spend your winnings in the shop to upgrade your car for the next race. Oh, and there's a funky bonus level!